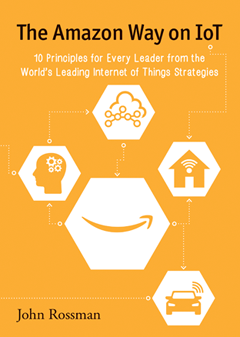 Geekwire, a leading Pacific Northwest technology blog, posted an interview on recently reviewed “The Amazon Way on IoT”. 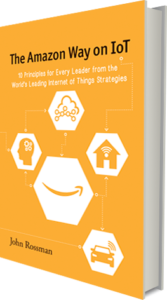 This internet of things book to help business leaders build their IoT strategy was recently released. Here’s a few highlights. Q: What led you to write this internet of things book? Rossman: For the past 11 years I’ve been a partner for consultancy Alvarez & Marsal. Talking to clients and doing research, I realized there was a lot being written about IoT but nothing targeting a businessperson trying to figure out how to use it in business, in a simple way that explained the technology, the rationales and the models you need to think through. I know Amazon is leading the way in every one of those ideas, I’m an authentic Amazon interpreter, and I thought, “There’s a great story here.” My goal was to tell a simple story, to give the business user a framework to think through how IoT can affect their business. I tell it through the lens of Amazon and some other leading companies. Q: Who is the internet of things book for? Rossman: It’s for leaders, not necessarily in the C-suite, at midsize to large companies that want to know how either how IoT can affect their business or how they can become tool providers selling IoT-related offerings. Q: What was your time at Amazon like? Rossman: It was a great and demanding place to work, and we were able to get some amazing things done. 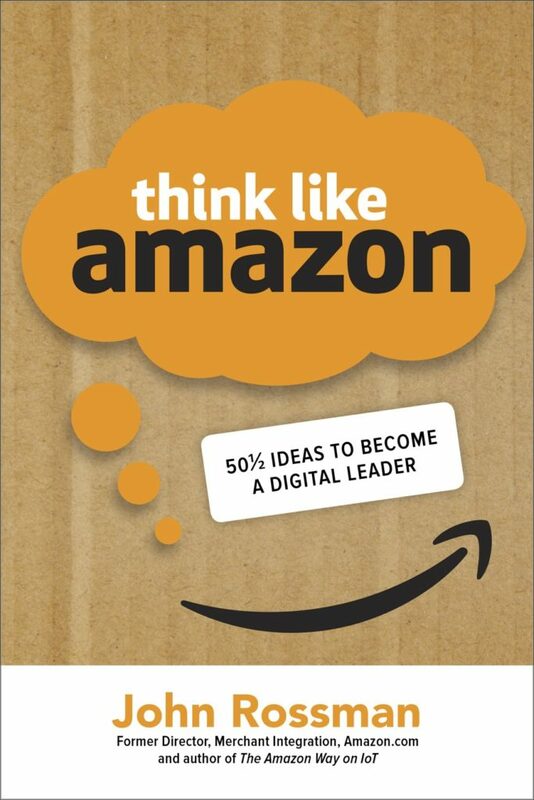 The reason I wrote about the Amazon leadership principles is that they were real. We used them in everyday decisions and in everyday meetings. When I was there, they hadn’t been codified, but you still saw them in play. Q: I get the “Amazon Way” part of the title, because you were there and it’s a follow-on to your first book. But why IoT? Why not something Amazon is famous for, like its sorting and shipping operation? Rossman: The impact IoT will have on business and society is progressing extremely fast. It is the biggest thing out there, in terms of technology. It will lead to the next wave of automation, efficiency and new customer experiences. IoT’s promise is that things that seem magic today will be just everyday occurrences, and you won’t know how you ever lived without them. Take the voice interface. It’s going to be commonplace in 10 years. One of the biggest challenges is going to be how to do operating partnerships, like the one among Amazon, DHL and Audi. A lot of companies are going to need to build new skills in those areas.